Set on the fictional, futuristic Caribbean island of Jacaranda—caught at the nexus between amazing technological advances and huge environmental hazards of globalization—this book recounts the tragic consequences of a forbidden love affair and a family torn apart by injustice. From the richly distinctive voices of the writer Micheline (Mitch), who could never tell a straight truth, the self-contained and sceptical Beatrice (B), the visionary and prophetic Evangeline (Vangie), and the severely practical Cynthia (Peaches), the novel builds a haunting sequence of narratives around the obsessive love of their brother, Pete, for his dazzling cousin, Tramadol, and its tragic aftermath. Set on the Caribbean island of Jacaranda at different points in a disturbing future, Ghosts weaves a counterpoint between the family wound and a world caught between amazing technological progress and the wounds global warming inflicts on an agitated planet. 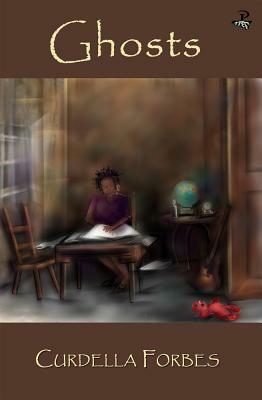 In a lyrical flow between English and Jamaican Creole, Ghosts catches the ear and gently invades the heart. Love enriches and heals, but its thwarting is revealed as the most painful of emotions. Yet if deep sadness is at the core of the novel, there are also moments of exuberant humour. 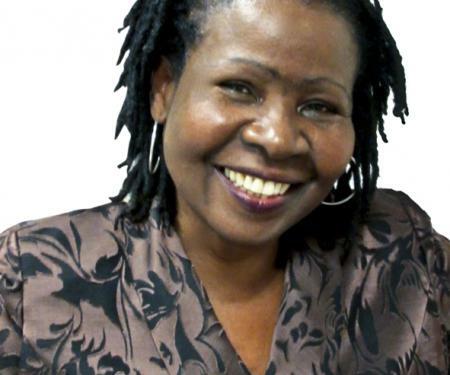 Curdella Forbes is the critically acclaimed Jamaican author of Songs of Silence. She is currently Professor of Caribbean Literature at Howard University.